Prompt and reliable Melbourne 24 hour plumbing service. Family owned and operated plumber Melbourne. Looking for a top quality plumber service in Endeavour Hills, South Yarra, Toorak, Hawthorn, Glen Iris & in many other Melbourne locations? When it comes to hiring top quality plumbers with years of experience in delivering nothing but the best results, Endeavour Plumbing is the team for you. We are ready to help all households and properties throughout Melbourne with our adaptable and efficient plumbing services. 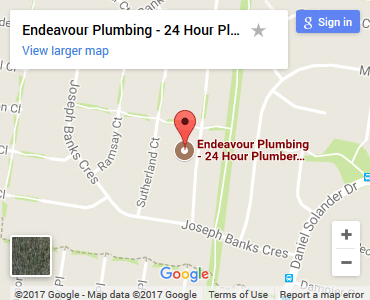 Why Get In Touch With Endeavour Plumbing? With over 35 years of experience in the industry, Endeavour Plumbing is the best option for all of your plumbing needs! We're one of the top plumbers in Melbourne. With all our experience in the industry, we have faced many challenges and delivered nothing but the best results for our clients. Regardless of the type of plumbing service, you can expect top quality plumbing results with us in charge. If you need a plumber in Toorak, South Yarra, Glen Iris, Hawthorn, Endeavour Hills or in the rest of Melbourne, we are there for you. With our wide range of plumbing services, we can be the plumber in South Yarra and the rest of Melbourne, that everyone trusts. Our services extends from residential plumbing, general maintenance to renovations, blocked drains to leaks, and much more. Our skilled team is equipped with tools that are made to handle any kind of job, big or small. We aim to keep strong communication with all clients to ensure that all questions are answered and that all needs are met. For more information, contact us. If you are looking for a top quality plumber in Glen Iris or in the rest of Melbourne locations - Murrumbeena, Chadstone, Ashburton & many more, we can help you. Our friendly and knowledgeable team will assist you with all your plumbing needs! Talk to us by calling Ben Anderson on 0403 531 071 or Rob Anderson on 0411 615 815.